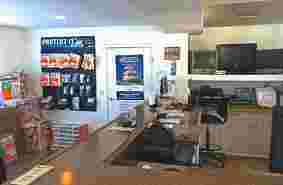 I had a great experience dealing with the staff who are very customer service oriented. My unit is clean and easily accessible and the security at the facility seems to be very well done. Awesome service! Facility is ultra clean and staff are super helpful. Really good storage, nice office staff. This is a clean, well organized facility. The managenent is super friendly and very helpful. Highly recomended! Very professional and friendly service. The facility is clean with easy excess for loading and unloading. Keylock Storage is THE Place to go for your storage needs. Very friendly, courteous and professional service. I was given a great deal (first month free) with no long term commitment requirement. The process for accessing my storage unit was explained clearly and completely, as well as policies and procedures. The entire complex is neat, orderly and clean. I would highly recommend Keylock Storage to anyone I knew in need of a storage unit. I will be their customer for as long as I need storage, and in the future if I ever again needed storage, I would definitely return. Thanks. We were out of town and needed to find a safe place to store our RV. 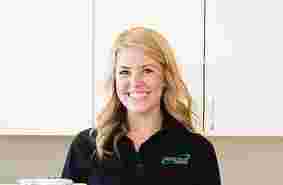 Mary was very trustworthy and communicated effectively what Keylock Storage could do to solve our storage needs. The place is clean, organized, and easy to access. It has been a very pleasant experience. Clean and well organized facility. Mary was more than helpful and went above and beyond to make sure that we were all set up before, during, and after move in. Very professional but also friendly. Would highly recommend. Keylock had exactly what we needed and the price value was beyond comparable. Mary helped us on her lunch break and was extremely happy to do it. Thanks Mary! We will recommend keylock to everyone in need of a storage unit. When visiting Keylock Storage I was surprised I was greeted very friendly and courteous. Don't remember the name of the lady working there, but she was very knowledgeable and friendly and found it to be helpful. I would recommend Keylock to my friends. It's nice to know there are still working people that care. Keylock storage is a great place to have a storage unit..We have had a unit there for for three years. Mary has always been wonderful to deal with, friendly, well organized, and efficient !! 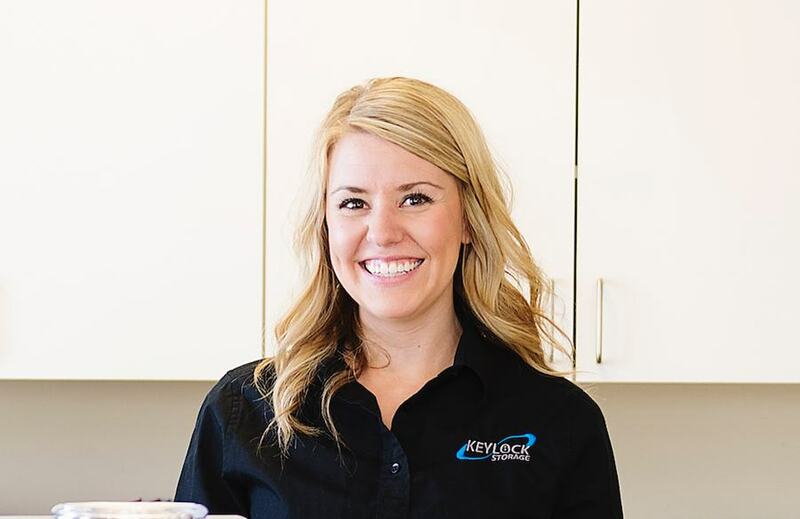 I'm really happy with my experience with Keylock - the facilities are very nice and clean, they utilize new technology and make entry/exit and billing very easy, and Mary was SO nice and helpful! Thank you all. I love this place. They are reasonable. a bit higher in price than most and they dont care if you rip off the stuff in my storage unit and sell it online. Mary went out of her way to ensure we had the trucks and trailers we needed for our move across the country. She was excellent to work with. The storage units we rented were the most secure ones in the area, very easy to access and reasonably priced. We cannot recommend her and Keylock Storage enough! This storage facility is awesome! It is clean and secure. The office staff are so helpful, making it a simple process to rent a unit. Mary is always so helpful and understanding! Thank You Keylock Storage for such a great experience I have had while needing to store my belongings for a couple of months. The staff at Keylock truly care about the tenants. Highly recommend. Great, safe, clean facility. Mary will go out of her way to accommodate you! Best experience I've ever had renting storage space. We rented a larger unit, sight unseen. Upon arrival we were relieved to see the units are in a very private area, that looks to be very well secured all around the property, as well as monitored. Our unit was very clean and is equipped with electrical, if needed. I don't recall if our unit is described as 'climate controlled', but either way it seems to be very well insulated for a storage unit outside. 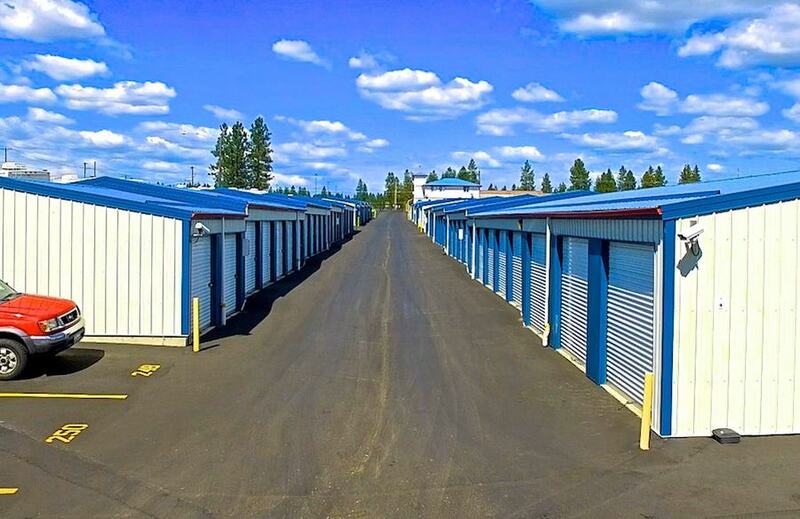 We've rented our fair share of storage units across the country and this one ranks at the top for monetary value, cleanliness and safety features. I can also say the same for our customer service experiences so far as well. The woman who seems to run the front, I encountered a couple times. Each time she was very pleasant and another time went over the top to be helpful with a trailer drop-off we had. When we store our stuff it is always with reluctance and apprehension, for various reasons. I don't often leave reviews, but feel this business is a good one, and hopefully this could help others who may need to find a 'temporary home' to leave their things with peace of mind. Lisa and Mary are a pleasure to deal with. Very professional and kind. Lisa went above and beyond in helping me work thru some changes to our rental. Great special. Highly recommend. Well I don't have a storage unit there but the 1st unit my mom had was supposed to be a 10x10 but could clearly see it was not. So I went in and asked them about it and the lady said they round it up on some of them..... excuse me but if I ask and pay for a 10x10 than that's what I want. Then as we are moving stuff from one unit to the next a bunch of my mom's stuff is covered in mice feces. It's absolutely disgusting. 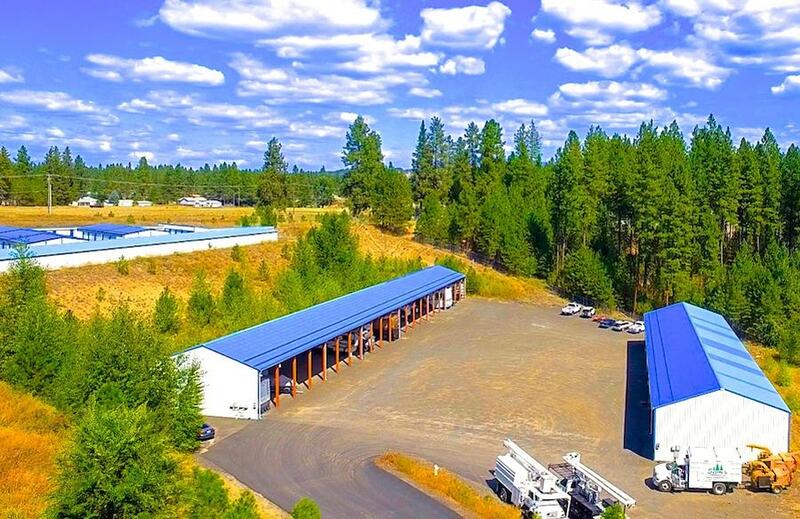 Mead Washington is a beautiful area with picture-perfect rolling hills and gorgeous ranches as well as a quickly growing area for both housing and commerce. Mead is an un-incorporated suburb of Spokane and many residents work in Spokane and other surrounding cities such as the lovely and thriving resort town of Coeur d’Alene, Idaho. Mead is close to the border of Idaho and Washington and easy to get to and from and boasts gorgeous views along the way. Mead is expanding at an ever-increasing pace and storage demand is matching that speed. Keylock Storage in Mead, Washington is the place for self-storage. 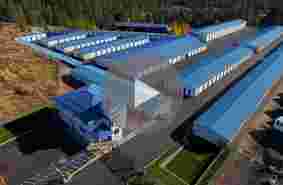 It is a very large and pristinely maintained facility and brings with it a large list of unit sizes and storage options. 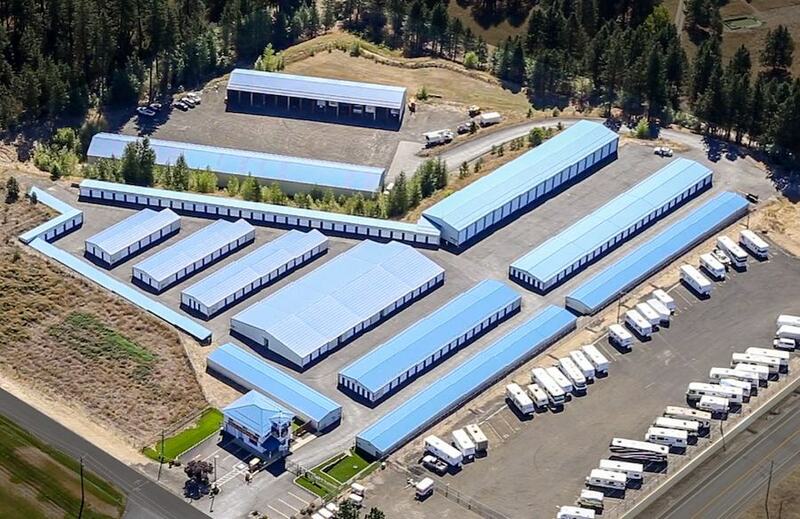 Mead self-storage demand is growing and are going higher and higher in the area because of it. Keylock Storage makes sure to offer fair and competitive pricing for the value offered and has excellent facility features and customer service. We strive to give our customers the value for their business! Between our trained staff, high quality facilities and overall operations, Keylock Storage in Mead provides a storage experience simply not found elsewhere. 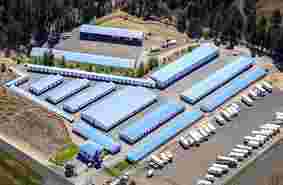 Our facility in Mead, WA offers indoor, covered and uncovered RV parking. With so many options, you can be assured you’ll find what’s right for you and your RV storage. East Washington and North Idaho are so full of natural beauty and recreational opportunities it is almost impossible to list them. Residents and visitors alike flock to this beautiful area to experience and enjoy the nature, lakes, skiing, mountains, fishing and scenery. You won’t want to miss on any adventures because of inadequate RV, ATV or other vehicle storage. Keylock Storage in Mead will make storing your vehicle a pleasant experience! 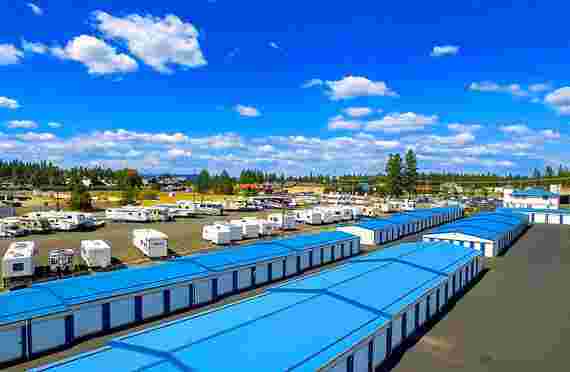 Not all self-storage choices offer you the options you need for your RV Storage. When you invest in an expensive and treasured recreational vehicle you want to be assured your RV is safe, secure and taken care of. At Keylock Storage in Mead you can be sure of this. Our storage facility is a unique and excellently maintained facility and access with your RV is a breeze. With very wide and well-paved roads, it’s easy to get your vehicle in and out of the facility and parked safe and sound when you are done. With our large, enclosed, covered and uncovered RV and vehicle storage, electronic gate with coded access and on-site manager you can sleep safe knowing your RV will be safe and secure whenever you need it. To say boating and fishing are a way of life in the Mead area is an understatement. Here, the countryside is dotted with famous lakes, rivers and streams and boats are almost a must-have item in this area! Keylock Storage in Mead is a perfect and centralized place to store your boat. In just a few hours or even minutes from our Mead facility you will find many places to recreate and fish or boat. If your destination is further away – no problem! Mead is located in a way that is easy to get to the freeway or other directions straight to recreation areas. With our easy access and big units and roads, its extremely convenient to access your boat at our facility. When storing your treasured belongings, make sure to consider cleanliness and quality. If you can’t count on quality at your storage facility then you can’t count on your belongings being secure. When thinking over quality, customers generally consider whether the facility is secure, the units clean, the grounds well maintained and the unit doors and other aspects working, clean and in good order. Keylock Storage in Mead provides all that and more. Uniquely clean and maintained at the highest level, Keylock Storage is Mead definitely will impress. Mead is located in direct proximity to many universities including North Idaho College, University of Idaho Coeur d’Alene, Gonzaga, Whitworth University and Spokane Falls Community College. If you’re a university student and need some storage for you overflowing, cramped apartment, need a place to park a car or need temporary storage between semesters Keylock Storage in Mead can help you out. Located in the middle of many higher education schools and various places of employment, it’s a great location for college students. And when you want to go off on a weekend car trip, summer adventure or job or head home on the open road – it’s easy to get to and from our Keylock Storage location in Mead.